There are a lot of fantastic video games out there. Indie Games Ichiban's bread and butter is making sure that you steer clear of the bad ones and embrace the good. But really, the biggest goal here is to help everyone have more fun. To that end, today a game is not recommended, but an event. If you like games—not just video games—but tabletop, board and even hopscotch, then PAX Prime is one of the best events you could possibly go to. Why PAX instead of E3 or any of the other big game conventions? Frankly, it's just way more fun. E3, gamescon, and most of PAX's other fellow conventions are really just huge trade shows. Most of the attendees are media and developers exchanging access for promotion, so the little guy is always left out. Tickets for non-industry people to attend E3 cost upwards of $500, and those who do make it are generally very motivated and from a high income bracket. 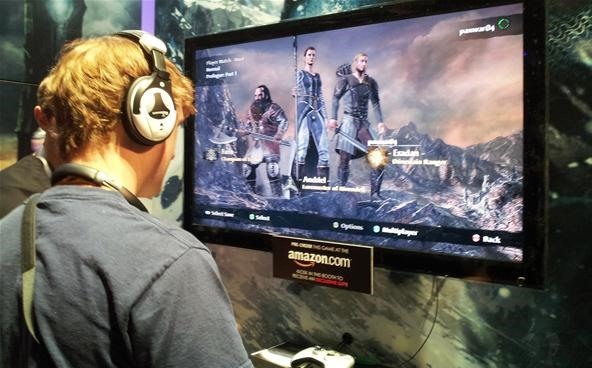 Plus, all there really is to do at E3 is wander around a dark hall and wait in line at various booths for hours to check out the half-level-long alpha builds of games that are coming out soon anyway. 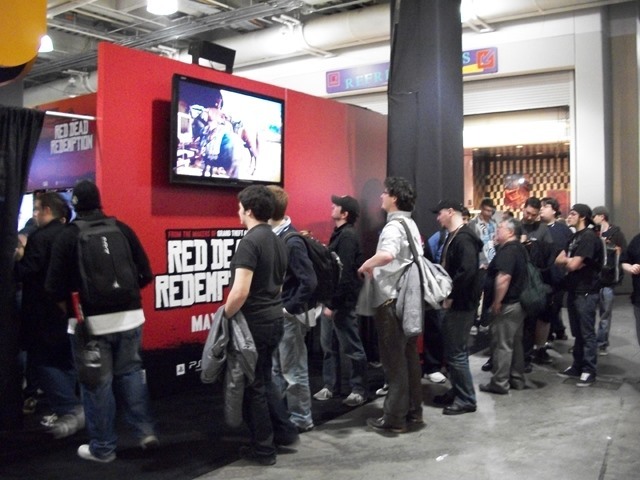 Waiting to play new games (this was at PAX East 2010), but PAX is so much more. PAX has all of those elements and more, but not the prohibitive price tag. A three-day pass to PAX (before they sold out in May) was worth $60. That's less than almost any other three-day event anywhere. And while it might not feature as many big announcements and press conferences as E3, it isn't any worse for it. Instead of emphasizing that, the convention organizers (thank you, Penny Arcade) have clearly created this event for the every-gamer. The type of person who might not work in the industry, who might not have a lot of money, but loves games and wants an opportunity to celebrate them with 90,000 like-minded individuals. Those people are what make PAX Prime so special. In every corner of the sprawling convention grounds there were people queuing at exhibitors, frantically collecting swag and anecdotes for their game blogs. But a lot of people were just there to play games with each other. There were massive free lending libraries of games, which had over 600 board games to SNES and PlayStation 3 consoles. Gamers could check out whatever games and systems they liked and take them to massive freeplay rooms full of TVs and game tables where they could play with friends and strangers to their heart's content. Perhaps even more impressive was the BYOC (bring your own computer) room. It was a massive space, where tickets are required months in advance for entry into the event. It also might just be the most biggest and most competitive LAN party in the world. 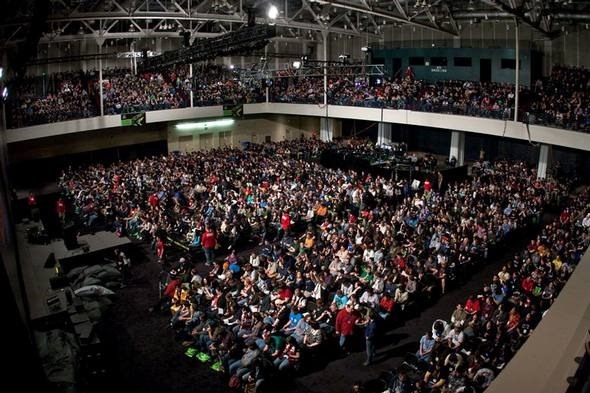 The crowd at the PAX Prime 2010 keynote, a fraction of the total attendees. If you're reading this right now, I assume that you like games. I won't make any assumptions about your social life, but you probably like to play and talk about games with others. You probably don't have time to do either as much as you'd like. Perhaps you even feel ashamed of wanting to, in light of derisive comments from parents, significant others, and enemies. If that describes you, as it does me, I'd have a hard time recommending anything to you more strongly than PAX Prime. I was actually really disappointed I couldn't attend PAX. Somehow, it's become the biggest gaming convention for 'gamers.' Not to mention I'm a huge League of Legends fanatic and Riot Games was showing off League of Legends: Dominon. I guess it's gotten to the point that I can't ignore it anymore. They announced that they're going to host a third PAX at an undisclosed location soon, but something tells me it will be in the Midwest, and not in Southern California, alas!